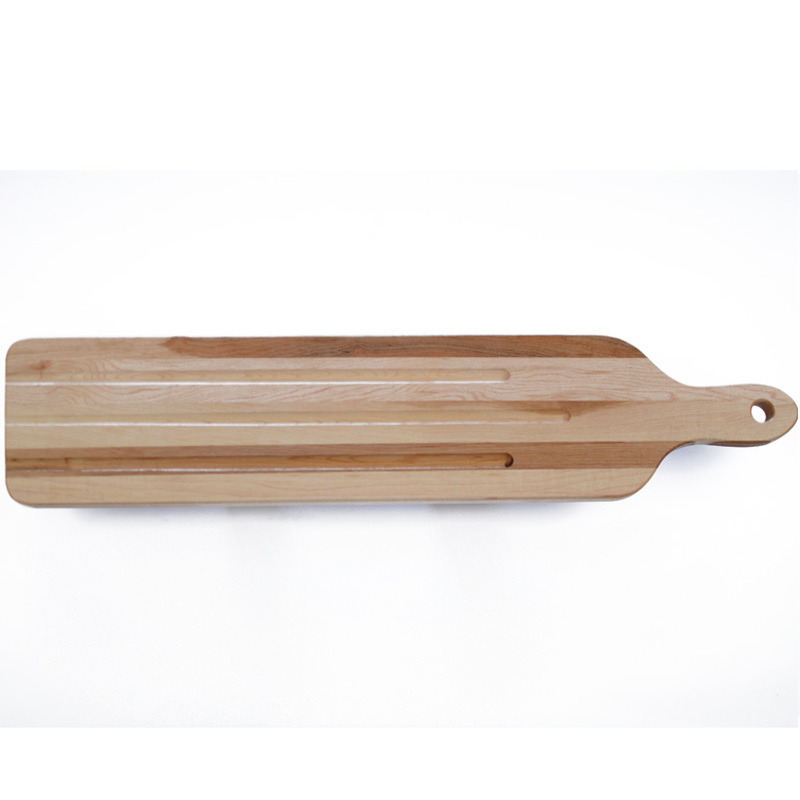 This solid wooden Baguette Board is the perfect shape for slicing and serving your next baguette of crunchy French bread.Flip it over and you can use it as a fish board. At 1 kg, it is solid enough to stay firmly in one place as you cut the baguette. It is just the right size, a very generous 61 cm long, 13 cm wide and 1.9 cm deep. (24″ x 5″ x 3/4″ inches) Including a 4″ long handle. 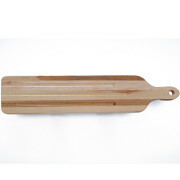 The wooden baguette board can be used for many types of long loaves, not just French bread. It works well for slicing Challah bread or any other long food item. Serve the bread right from the board! The solid cutting surface makes it safe for guests to cut off a chunk whenever they get hungry. The attractive wood fits in easily in the dining room, kitchen and patio. Use it as a serving tray for nibbles before dinner. 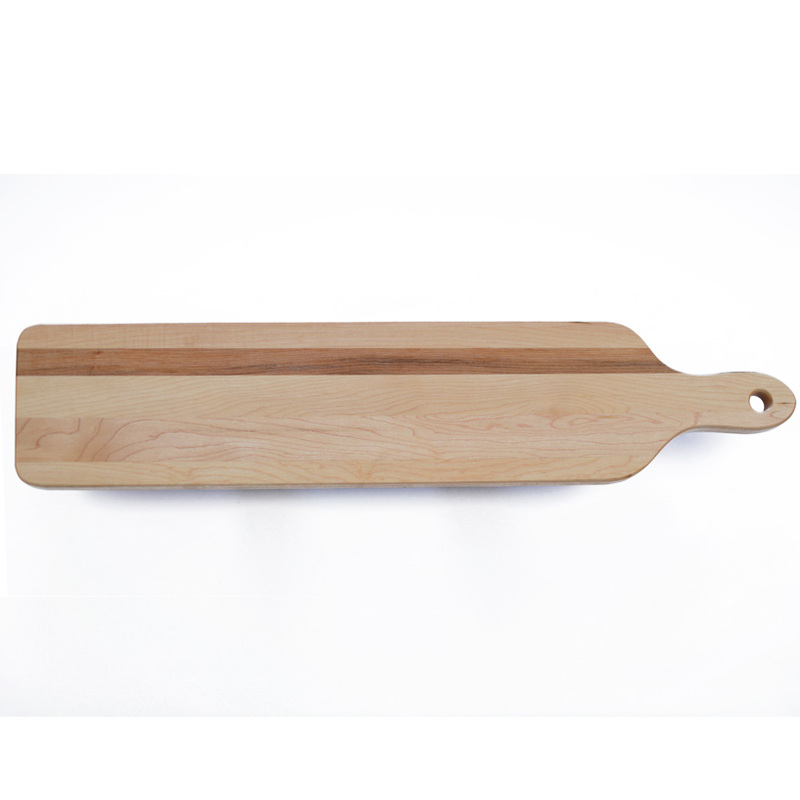 With its long surface, the board is ideal for presenting several cheeses and breads. 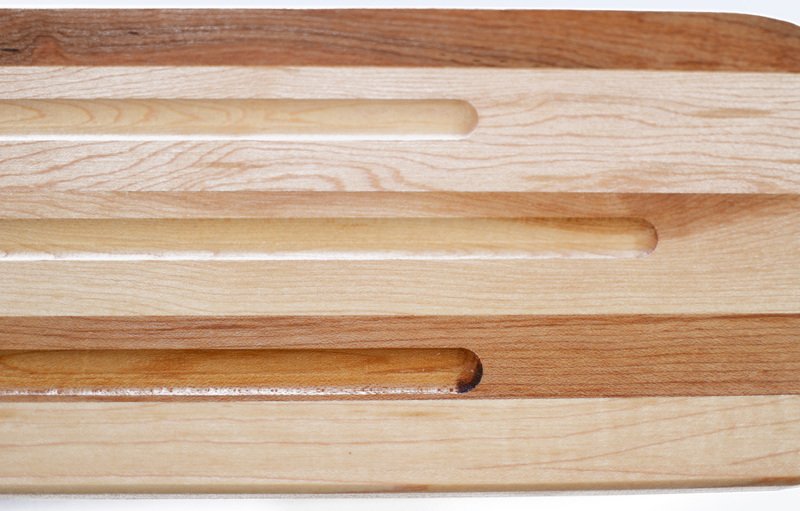 The board is available in hardwood maple. These woods have an attractive grain that looks good year after year. 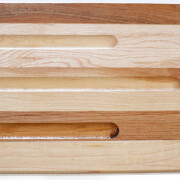 The wood comes from sustainable forests and the boards are considered environmentally friendly. Upkeep is simple. Just sweep off the crumbs and rinse the board. If it gets dirty, use a mild detergent to clean it. Then hang it up to dry. The 10 cm (4″ inches) handle makes it easy to pick up the board, moving it from the kitchen to the table. The hole in the handle makes it simple to hang up the board when not in use. The elongated shape makes a distinctive impression, adding an artistic look to your kitchen wall. Flip it over and you can use it to serve fish. Looking for a gift for an adventurous cook? Want to impress your favorite baker? 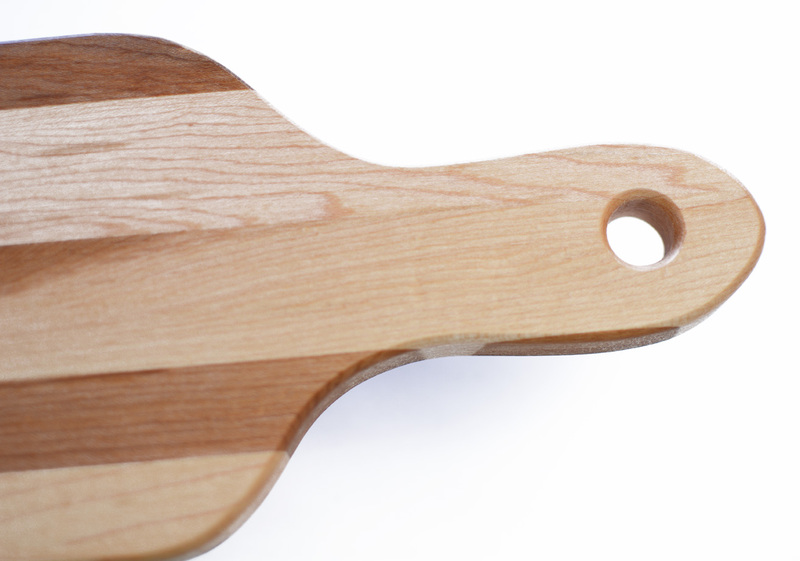 Give them this wooden baguette board. This is a gift that will get used regularly. And when it’s not in use, they will hang it proudly in the kitchen. 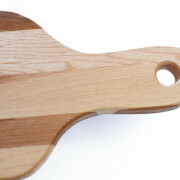 Wholesale Cutting Boards sells these boards in wholesale lots of 24 or more. Save money and have the perfect gift on hand, whether it’s a corporate award, a customer appreciation gift, a wedding favor or a door prize. These boards can be customized with your logo and name. If you need a special size or style, our team of designers can create it for you.